AVG AntiVirus is created by AVG Technologies which specialize in online security for protecting devices and data. More than 200 million active users and businesses use AVG security products. AVG AntiVirus is not only popular with users on their home machines but in the business world as well. 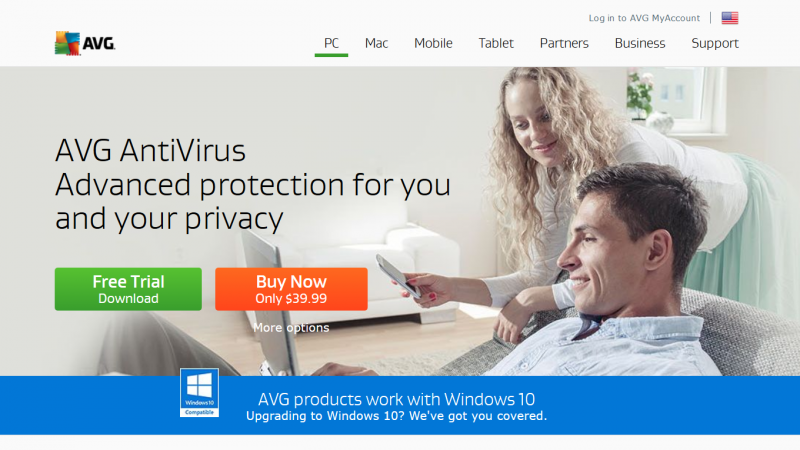 AVG AntiVirus is serious protection for your PC. It helps stops, removes, and prevents the spread of worms, trojans, and viruses. It also helps protect your PC from Rootkits. Rootkits are dangerous and installed outside the control of the operating system so if your PC gets infected with one they can be very difficult to remove. AVG uses several different technologies to help protect your PC from new threats. This includes real-time outbreak detection which is an artificial intelligence built into AVG AntiVirus which is designed to pro actively identify malware samples that haven't yet been catalogued by the AVG ThreatLabs team. There is also a cloud-based outbreak detection technology which uses telemetry data shared between AVG users. The AVG LinkScanner is a prevention technology which helps you from visiting infected websites. LinkScanner checks links you click and warns you if it detects anything suspicious. This includes links from emails, the web, Twitter, and Facebook. 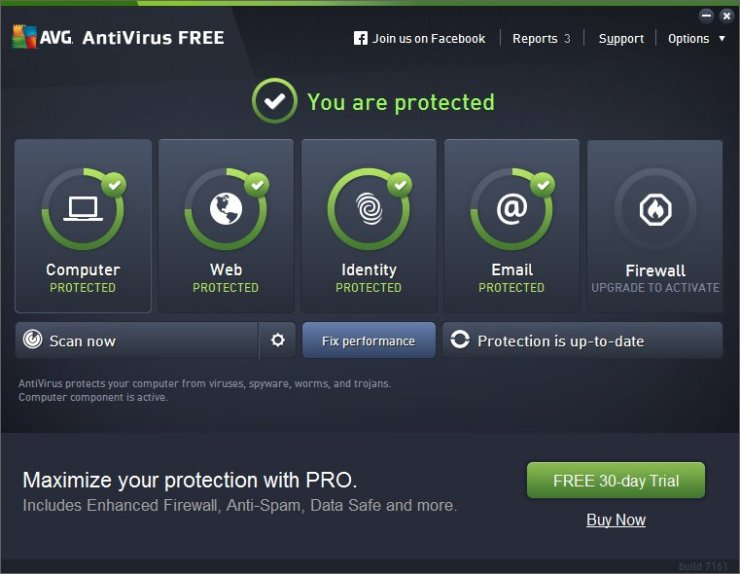 With AVG AntiVirus Email Scanner, it warns you of malicious email attachments. While the email and attachment is being downloaded it is scanned. If it is found to be a virus it is quarantined before you ever use it. It works as a plugin for Outlook and as a full fledge scanner for other email programs which use SMTP, POP3 and IMAP. Protects you from harmful downloads including those from the web, ftp and other file download programs. You can encrypt and password protect your private files. 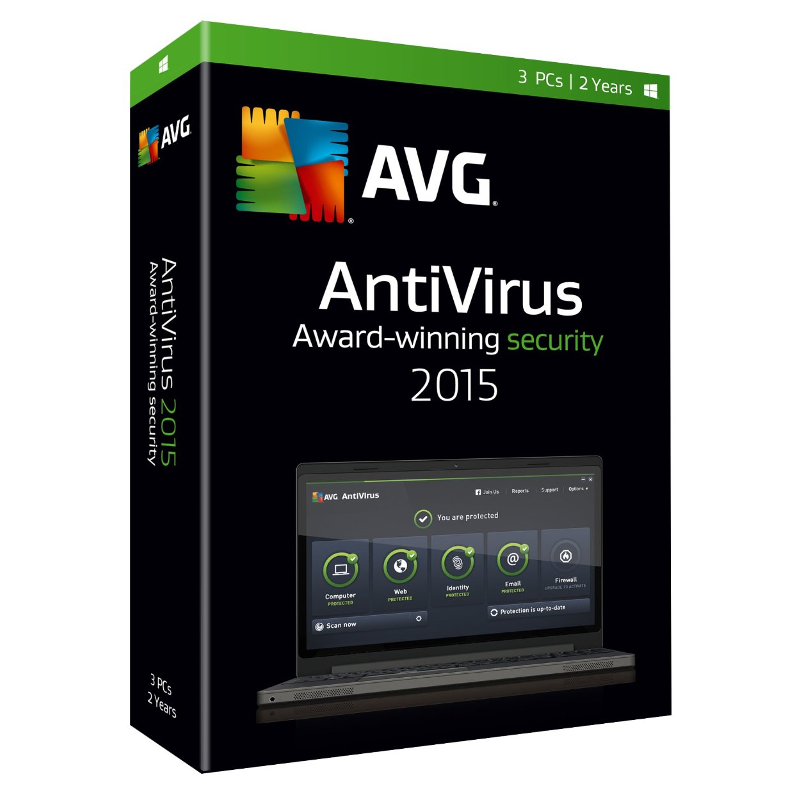 AVG AntiVirus has a number of different pricing options depending on what you want. It is also available for other operating systems like Mac, iOS and Android (not all features are available). You can also purchase one or more licenses (or unlimited with AVG Ultimate) that allows you to protect all of your devices. 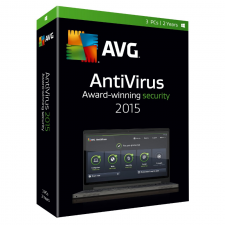 AVG AntiVirus for Windows costs $39.99 per year. This includes protection for 1 PC along with support. If you are not sure if AVG AntiVirus is the right tool for you, you can try out the software free for 30 days. All of AVG software sold through the AVG website also has a money-back guarantee. If you are not satisfied with the product in the first 30 days after you buy it, AVG will refund your money. If you already have a virus and would like an expert to remove it then AVG Virus Removal Service can help you out. This service is available 24/7 and costs $79.99. If they don't remove the virus you get your money back. It is easy to do as well, once you purchase the service through AVG secure checkout, you will receive an email with a link to start a secure remote connection. Once the connection has been established, the AVG Expert will remotely fix your issue without any further assistance from you. AVG customer service is available via email and phone. You can also contact them via instant-message. AVG have a great support website which contains many articles and FAQs for all of their products. AVG also has a Premium Support Service for any device. This includes PCs, laptops, smartphones, tablets, smart TVs, cameras, printers, scanners, game consoles, etc. All you need to do is call and explain your problem. An AVG Expert will diagnose the issue free of charge. If you agree with the solution and cost (it ranges depending on the problem) AVG will either connect to your device and fix the problem or help you step through the solution over the phone. People who know me call me a Gamer. I have a super high end PC that is liquid cooled and is all about playing games. I tested the waters a few years ago and looked at a number of anti-virus solutions. I wanted something that wasn't obtrusive, was quick, and didn't take up much resources. I settled on AVG Antivirus and I have never looked back. It does the job well and I have never caught a virus since I have had the software installed. It is the anti-virus solution that most of my friends use as well. BTW the free version works fine as well except it does have too many popup ads which get annoying. It is definitely worth paying for the full version to have the online advertising removed. I definitely recommend this product and give it 5 stars! Free version has too many popup ads. Had a hard time removing the free version to install the version I paid for. It's a pain to install and you need to read the docs carefully. I did manage to install it and everything after was okay but I hate the up sell for their other products. There was some buttons during the install to try and sell you other AVG software. Not sure if I was use AVG again. Will evaluate over the next few months. Pain to install with other virus scanners installed. Ordered on the AVG website and then downloaded it. Took me about 15 minutes from start to finish. I got 2 licenses for 3 years so I can use it both on my PC and laptop. I had used AVG in the pass but my new laptop of a year ago had come with a free Mcafee subscription so I figured I might as well use it. I wasn't very impressed with Mcafee. I have to say I like AVG a lot better. It is easier to use and seems a lot faster as well. I plan on using only AVG moving forward.